My vegetarian Sandwich Quest search has finally found a sandwich worth recomending to omnivores. 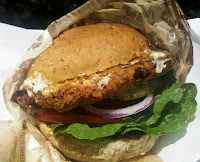 The Crispy HipCity Ranch from HipCityVeg more than met my expectations for a solid sandwich. Period. Veggie or not. Unlike the disappointing vegetarian cheesesteaks from Govinda's and Blackbird, the battered "chick'n" didn’t leave a bland aftertaste and the chick'n was solid enough to sink your teeth into. The batter was even extra crispy like the name implies. Plus the peppercorn ranch sauce was excellent - and I do not care much for ranch flavors. At $8.50, the crispy chick'n is not cheap, but still comparable on price to other good sammies such as Paesano's Bolognese at $8. I would agree with a post from Philly Phoodie that the sauce is all over the place when opening the sandwich, so watch out. Still, many good sandwiches are messy - the roast beef at John’s Pork is another messy one I ate recently. His analogy of the taste being like a sassy fried chicken from McDonald's is fair except my stomach didn't feel like a ton of bricks after eating or give me that inadequate disgusted feeling. 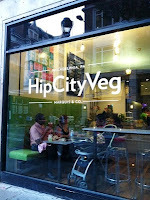 I'm sure the HipCityVeg folks would have a fit over even a subtle comparison to McDonald's. I’m sticking to my guns about vegetarian sandwich observations and wish they were not compared to real chicken. 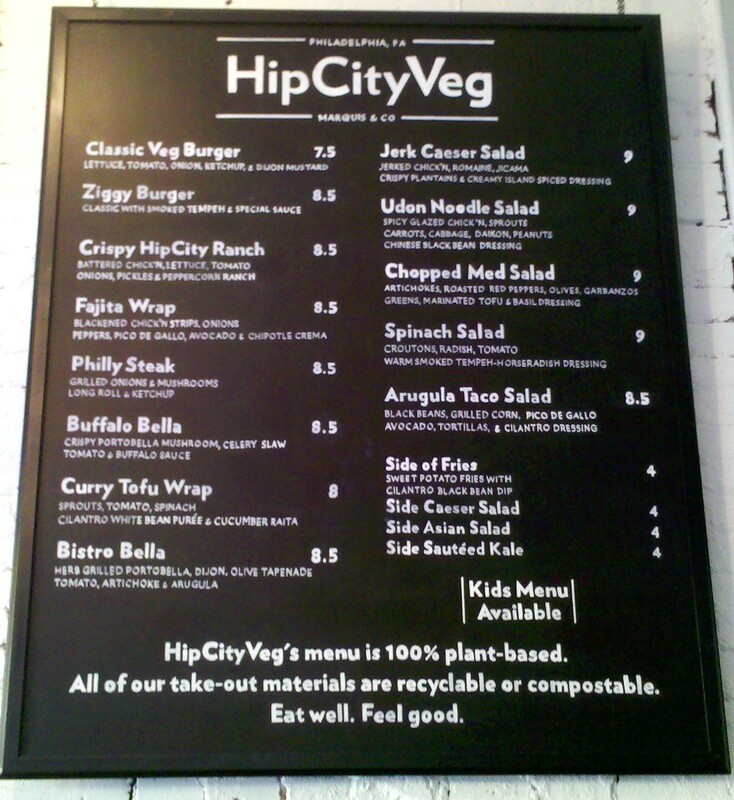 The HipCityVeg sandwich still did not offer the juiciness of actual chicken meat and I’m inclined to think first-timers will not like it because of their pre-conceived expectations. Just call the dang thing a battered soy sandwich or whatever it's made from. 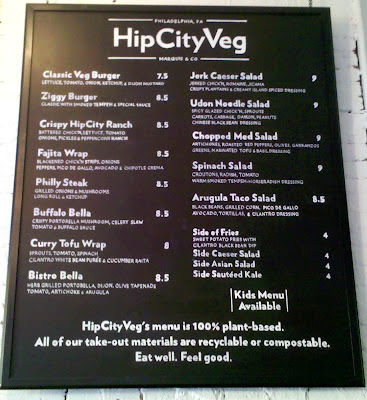 The cashier said the Crispy HipCity Ranch is the top seller, but other sandwiches on the menu looked good, too. HipCityVeg is not at the top of my Sandwich Quest list, but I’ll visit again and have no qualms about bringing a skeptic friend to try. The Buffalo Bella is my favorite. Crispy, salty, spicy, tangy. And toothsome! So good. Oooh, thanks for the review. I've heard so many great things about this place, I can't wait to try it! avneetks - We'll have to try the Buffalo Bella. I'm a huge fan of anything buffalo sauce. Cozy Herbivore - let us know when you go and pass along any comments. We would love to hear them!